My first Speyburn and we’re off to a flying start. On the nose some lovely honey, sherry, old wood, floorboards, cardboard, it’s a good honest smell, simple and malty and well integrated. No solvent twangs, no sulphur, just s really nice smelling Scotch. Maybe a faint whiff of mustard seed? It deffo smells older that it is. There must be some much older stocks doing some magic in there, surely. A stronger abv and I’d have pegged it at a 12 to 15 for sure. In the mouth things things just get better, it’s all tasting great, sherry, old vine fruits, lovely oak but no bitterness at all, warm and balanced baking spices, no heat. No alcohol burn. It’s pretty darn nice. 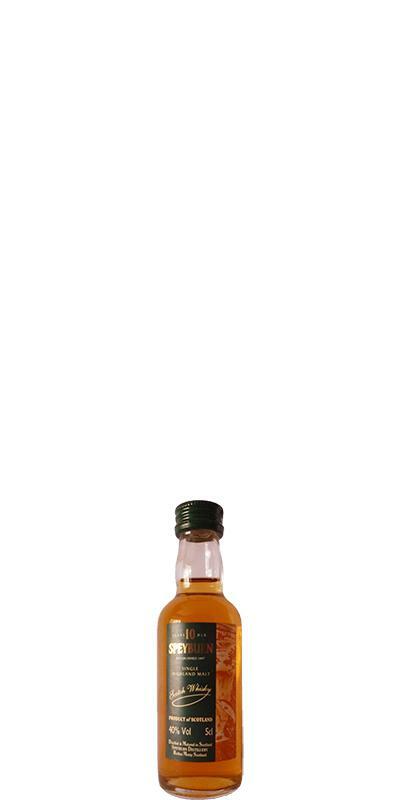 Here’s a particularly nice thing to say about it, it remind me of old Macallan 10’s from the 80’s. It’s not the same, don’t get me wrong, but it’s doing stuff in a similar, if slightly not as good, kind of way. The finish isn’t huge, it’s not as short as say, Danny Devito’s trouser press, but it’s no long legged monster either. Shorter than average, or more importantly, shorter than I’d have liked. All those lovely warming honey, sherry and woody notes just drift off too quickly. 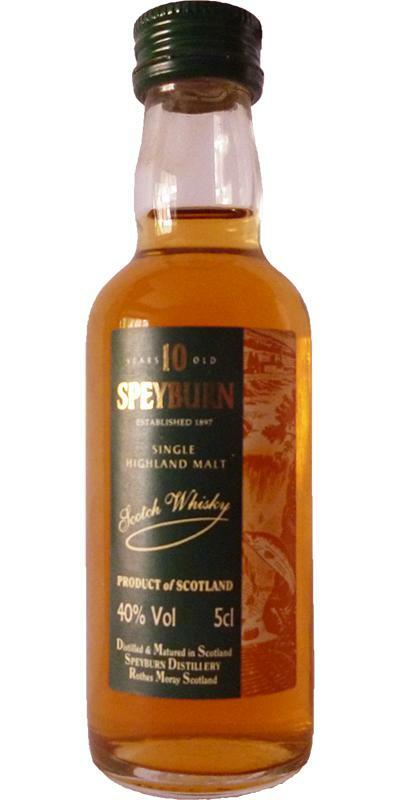 But hey, it’s my first Speyburn, it’s a lovely drop, a good experience and I’m left wanting to try more. Not a bad start. Bottled at 43-46% and it might have nailed an 85% score.